On Sunday, April 17, HEC held its Annual Membership Meeting. HEC celebrated its 2015 successes and introduced some of what is planned for 2016. 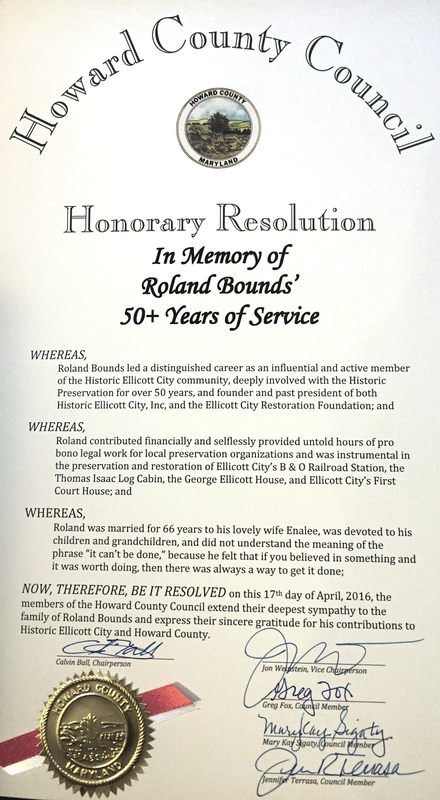 HEC also welcomed Howard County Council Member, Jon Weinstein, who presented an Honorary Resolution to HEC in memory of Roland Bounds and his over 50 years of service to historic preservation, the Historic Ellicott City community and HEC as a Past President. 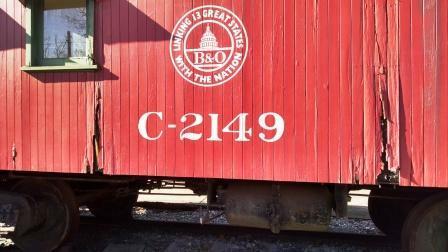 In 2015, HEC made a $2,500 donation to the B&O Railroad Museum for the restoration of a 927 Class I-5d Caboose built in the B & O shop at Washington, Indiana in 1927. HEC’s donation made it possible for the Station to get a matching grant from the Modern Woodmen of America toward the restoration. 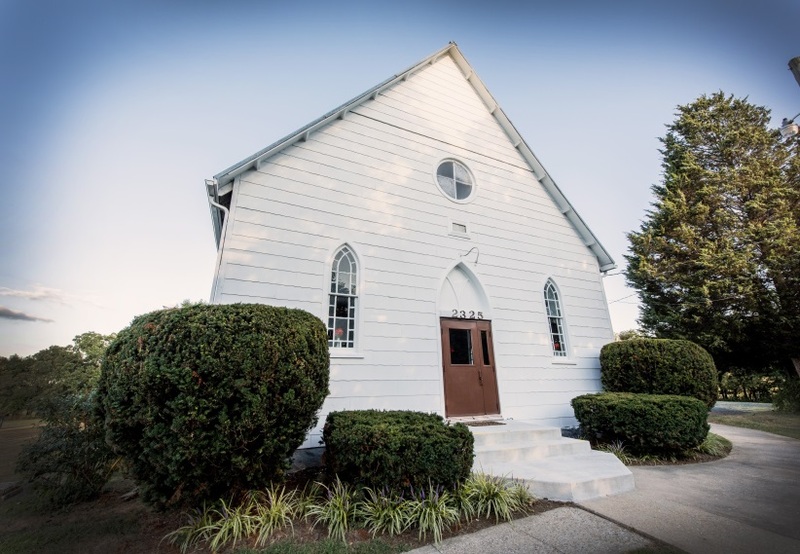 In 2015, HEC implemented a new grant program aimed at helping to restore historic buildings and homes in Howard County. The inaugural recipient of this grant program was Mt. Gregory United Methodist Church in Glenwood/Cooksville. For a copy of the Grant Application and Grant Guidelines, please e-mail HistoricEC@hotmail.com.